For the first time this season, the Pittsburgh Pirates took the field against an opponent that is not from the N.L. Central. After being held in check on Thursday night in a shutout loss to the Chicago Cubs, the Bucs’ offense was once again stifling on Friday against the Washington Nationals. But some late game clutch hitting lifting the Pirates to a well deserved 6-3 victory in the first game of this weekend series. 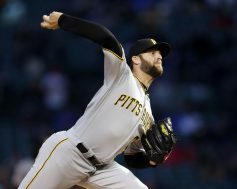 Trevor Williams started for Pittsburgh, and once again turned in a quality start, giving up two runs on four hits in 6.1 innings of work. His mound opponent, Patrick Corbin, was on point as well, holding the Bucs to just one run on four hits in seven innings, while striking out 11 batters. Mother Nature has a mind of her own and she struck in the latter parts of tonight’s finale between the Pittsburgh Pirates and Chicago Cubs. With the start time moved up thirty minutes because of impending weather, any type of run production could prove very important. That sure was the case tonight as two runs by Chicago in the bottom of the seventh proved to be all they would need before a rain delay occurred in the top of the eighth. Monday afternoon’s shutout loss to the Chicago Cubs, the home opener at Wrigley Field, was a game to forget for the Pittsburgh Pirates. After a day off, the Bucs returned to the field and evened the series against their divisional foes with a 5-2 victory. Jordan Lyles took the mound for Pittsburgh, building off his first start of the year with another impressive performance. He gave up one run on three hits through six innings while striking out six Cubs. Felipe Vazquez tallied his third save of the season by recording five outs to clinch the victory. 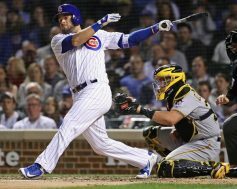 The Pittsburgh Pirates and Chicago Cubs played for the 19th and final time in 2018 tonight and in the end, Chicago would take the game and season series with a 3-0 victory. Pittsburgh didn’t have many chances tonight and the few they did have they could not capitalize. Trevor Williams made his final start of the season and came one game short from reaching the 15-win plateau. Instead he would collect his 10th loss of the year after throwing five innings and allowing three runs on eight hits, with four strikeouts and three walks. Two of those runs came in the second on a David Bote triple to left field. The final run crossed the plate when Daniel Murphy hit an RBI single to right center in the fourth inning. 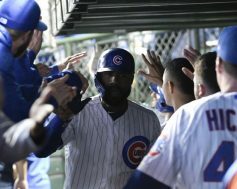 The Pittsburgh Pirates have enjoyed playing spoiler this week against the Chicago Cubs. But after taking the first pair of games this week at Wrigley Field, the Bucs fell behind early tonight, came back and tied the game in the ninth before losing 7-6 in ten innings. Ivan Nova struggled for Pittsburgh tonight, giving up six runs (five earned) on eight hits in four innings of work. 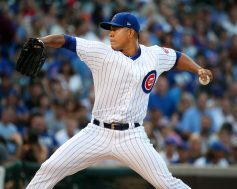 Jose Quintana pitched for Chicago, giving up two runs on four hits in five innings. The Pirates scored the game’s first run in the top of the first on a solo homerun by Jose Osuna. A no doubt blast to deep left field, Osuna’s homerun gave the Pirates their first and only lead of the game. The season may be winding down, but the Pittsburgh Pirates are playing like a team looking to make a playoff push. 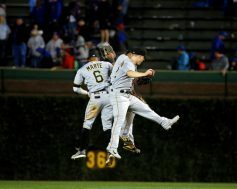 Tuesday night made for another great pitching performance, with some clutch at bats as Pittsburgh would take down the Chicago Cubs by the final of 6-0. The Pirates are keeping things interesting in the division by defeating the N.L. Central leaders for the second night in a row. Chris Archer looked like the top of the rotation pitcher the team traded for during his six innings of work on the mound. He would allow only four hits to go with nine strikeouts and two walks. People have been critical of Archer, but if he pitches like this in 2019 the Buccos staff could be one of the best in the National League. The Pittsburgh Pirates wrapped up the home portion of their 2018 season today, though there is a makeup game scheduled for October 1, and did it in ugly fashion. 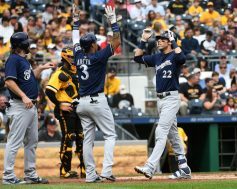 Poor pitching and the continuation of wild pitches paved the way for a 13-6 loss to the Milwaukee Brewers. The wild pitches should be at the top of the list of things to fix during the upcoming offseason.